Well, here it is. Looking over this year's Lollapalooza lineup has me thinking they should officially dub the festival "Lolla' 2008: Deja Vu," between take 2 of the promotional ticket fiasco and the emphasis on repeat offenders. 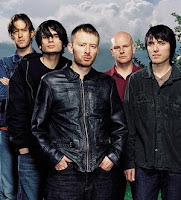 Radiohead, Rage Against the Machine, Nine Inch Nails, Kanye West, Wilco, the Raconteurs, Love and Rockets, Gnarls Barkley, Lupe Fiasco, Bloc Party, the Black Keys, Broken Social Scene, Flogging Molly, Mark Ronson, Cat Power, the National, G. Love & Special Sauce, Sharon Jones & the Dap Kings, Explosions in the Sky, Brand New, Gogol Bordello, Stephen Malkmus & the Jicks. Dierks Bentley, Okkervil River, Amadou & Mariam, Blues Traveler, John Butler Trio, Girl Talk, CSS, Battles, Jamie Lidell, Butch Walker, Mates of State, Spank Rock, Brazilian Girls, Chromeo, Duffy, the Kills, Rogue Wave, the Go! Team, Mason Jennings, the Gutter Twins, Yeasayer, Grizzly Bear, MGMT. The Weakerthans, Booka Shade, Santogold, Black Kids, Black Lips, Louis XIV, Dr. Dog, Nicole Atkins & the Sea, the Ting Tings, Kid Sister, Office, the Cool Kids, What Made Milwaukee Famous, Does it Offend You, Yeah?, the Whigs, Manchester Orchestra, Foals, Uffie, the Octopus Project, Cadence Weapon, Ferras, De Novo Dahl, Noah and the Whale, Margot & the Nuclear So and Soâs, KâNaan, Serena Ryder, Newton Faulkner, Your Vegas. Eli "Paperboy" Reed & the True Loves, Steel Train, Bang Camaro, the Blakes, Tally Hall, White Lies, Magic Wands, Electric Touch, Innerpartysystem, the Postelles, the Parlor Mob, Bald Eagle, Krista, Ha Ha Tonka, Witchcraft, We Go to 11, Sofia Talyik.